The car has gone through a very extensive restoration over the last few years. It was completely stripped down and rebuilt with pretty much all new parts. In total around £12-13,000 was spent. The engine was rebuilt with unleaded heads so it can run on normal unleaded fuel, no need to use the lead additive. The car had a bare metal respray in the original “Clipper Blue” paint which looks outstanding. We have photo’s of the restoration on file. As you can imagine there is no rust on the car what so ever! Rust is always a problem with British classic’s but this one is completely rust free. It has been garaged it’s whole life and only used in the summer months. 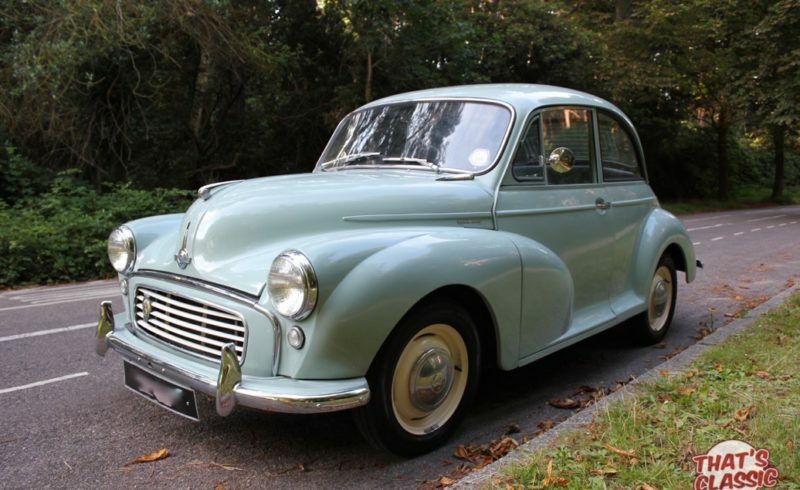 Many of the Morris Minor’s for sale at the moment, Which appear to be sound from the picture’s, may have underlying rust issues if not properly maintained or repaired in the past. Rest assured, that this car has been restored to a very high standard and does not have that issue.